the bright and energetic candidates to work in their offices all over Odisha for the post of Office Assistant Grade III (Trainee). Selection for this recruitment will be held based on online test and skill test. 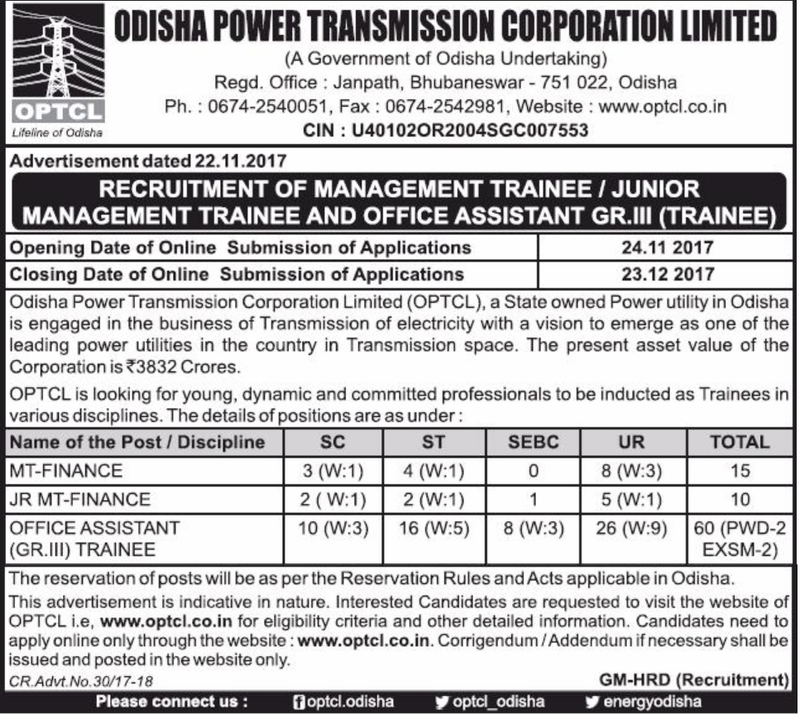 Eligible criteria having candidates can apply for these posts from 24-11-2017 to 23-12-2017 online only via the official website of optcl.co.in. 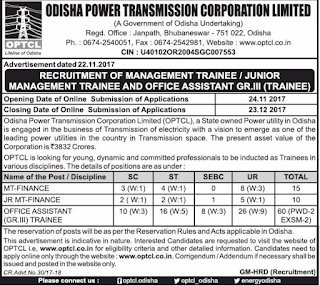 For more details regarding this Office Assistant Grade III Trainee Jobs recruitment of OPTCL Selection Process, educational qualifications, Selection Procedure, Exam pattern and more see the information below. 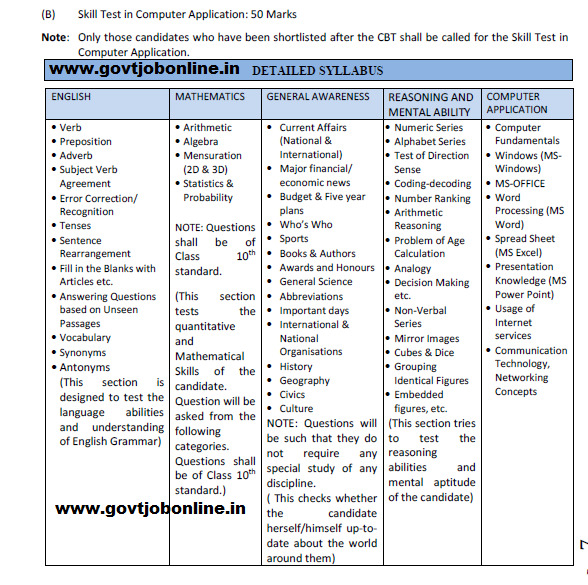 There are total 60 vacancies available in OPTCL Recruitment. UR-26, SEBC-08, SC-10, ST-16 and 20 posts are reserved for woman candidates. As on 01-January-2017 lower age limit is 21 years and upper limit is 32 years. Upper age limit is relaxable by 5 years for SC/ST ,SEBC and female candidates. 10 years for PWD candidates. Any degree with good knowledge of computer applications. After completion of successful training candidate will go for one year probationary period. Candidates can pay the amount through offline or online. For payment of offline the candidate have to pay through debit or credit card or net banking. For Offline payment the candidates have to generate the ICICI bank chalana and pay in an nearest branch of ICICI. Selection for this Office Assistant recruitment will be held in two stages. àComputer Based test will be conducted for 200 Marks with 3 hours duration. Eligible candidates can submit their application through online only via the official website of OPTCL. Before applying online read the official advertisement, instructions and frequently asked questions. All these are available in optcl.co.in.